Designer, Jen Jaudon, named one of Memphis' emerging designers, handcrafts unique artisan metal, leather and gemstone jewelry that celebrates the revival of the human spirit. Much of her inspiration comes from the beauty of nature, especially within the U.S. national parks. 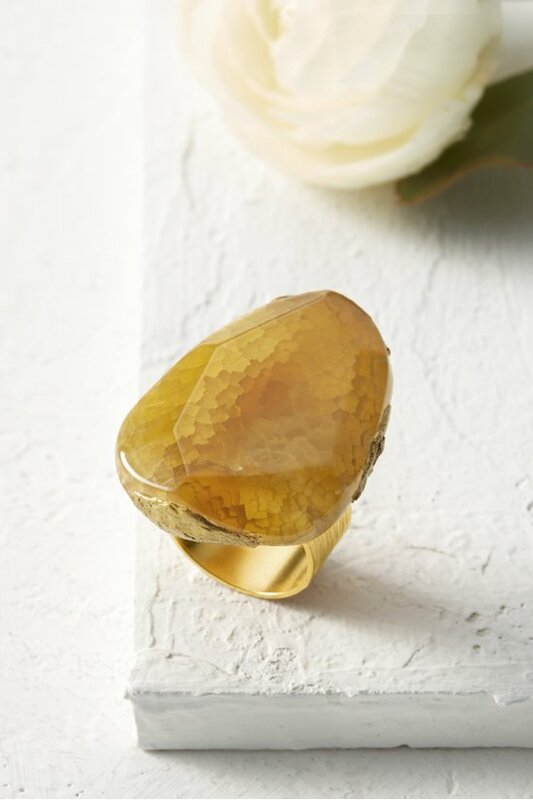 This remarkable ring showcases the flame-like hue of the powerful yellow fire opal, said to attract abundance and ignite the spirit. A gold-plated setting follows its organic shape. Natural gemstones will vary.